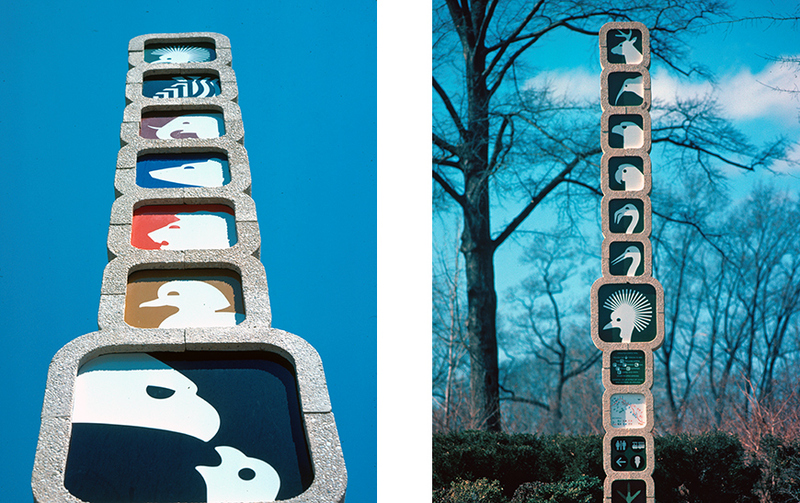 Lance Wyman is a designer specialising in branding and wayfinding systems. He is best known for the branding of the 1968 Mexico Olympics. Other projects include the Mexico City Metro System (above) and the identity and signage for the Minesotta Zoo (pictured below). Below is a video of a talk Wyman gave about his work at the Walker Arts Centre. A new digital drawing I created as the first limited edition artwork produced by Pallas Projects. They will be commissioning artworks from various artists for their project Pallas Projects - Editions. Typeface is a documentary film, produced by Kartemquin Films, focusing on a rural Midwestern museum (the Hamilton Wood Type and Printing Museum in Two Rivers, Wisconsin) and print shop where international artists meet retired craftsmen and together navigate the convergence of modern design and traditional technique. Clever cover design by David Pearson for George Orwell's 1984 from set of new editions of Orwell’s books. A selection of these works were on view at the Lewis Glucksman gallery for the exhibition The Sacred Modernist: Josef Albers as a Catholic Artist. A low-cost device for clearing landmines designed by Massoud Hassani featured in the Design Museum's Designs of the Year Show. A copy was made from my original apartment key, then a copy was made from that copy. This process was repeated until the original keys information was destroyed.